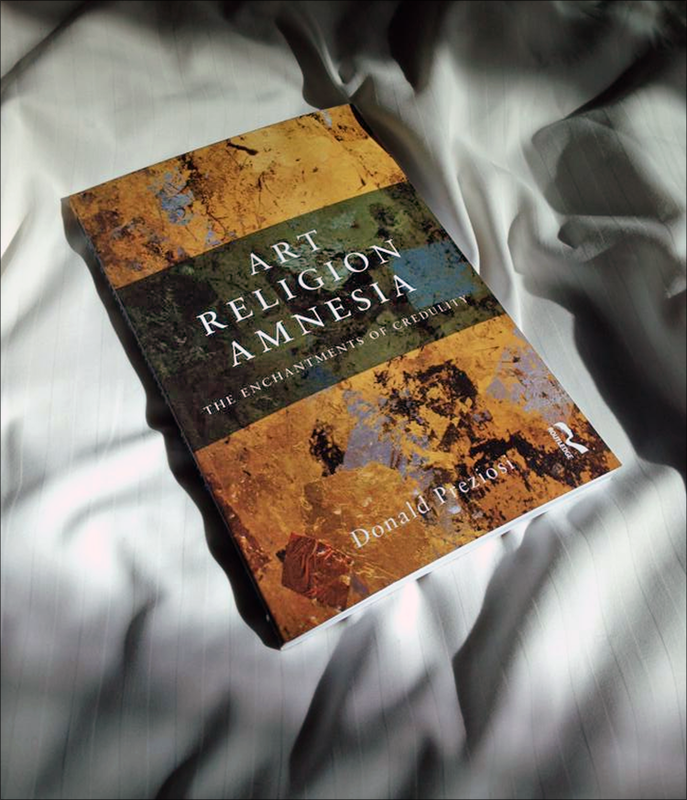 LG Williams is pleased to announce that his artwork “I CAN SEE THE WHOLE ROOM!… AND THERE IS NO ART IN IT!” is featured in Donald Preziosi’s new book, Art, Religion, Amnesia: The Enchantments of Credulity, just published by Routledge. 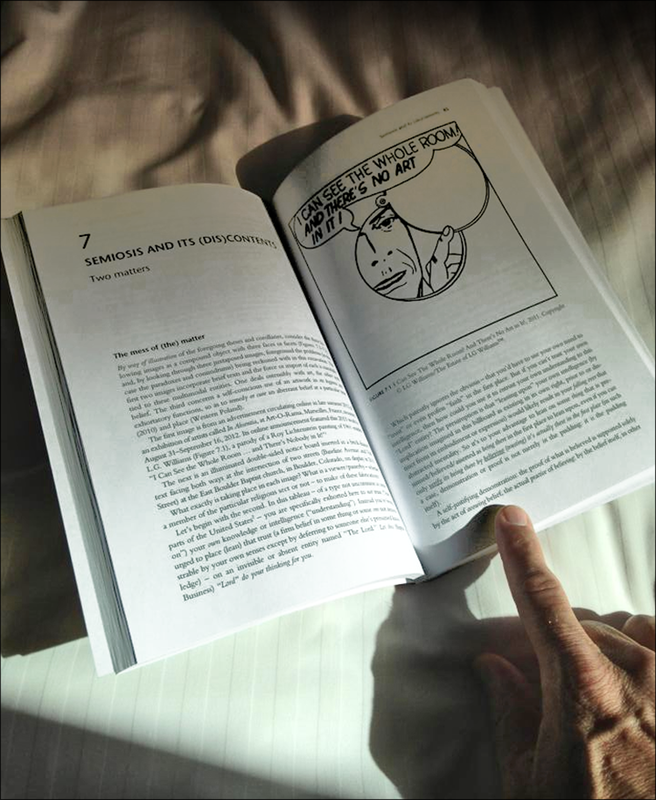 The book addresses the relationship between art and religion in contemporary culture, directly challenging contemporary notions of art and religion as distinct social phenomena and explaining how such Western terms represent alternative and even antithetical modes of world-making. Art, Religion, Amnesia is a unique re-evaluation of the essential indeterminacy of meaning-making, marking a radically new approach to understanding the inextricability of aesthetics and theology and will be of interest to students and researchers in art history, philosophy and religion and cultural theory. Donald Preziosi is 2002 Slate Professor of Art at Oxford University, and Professor Emeritus of Art History at UCLA, where he developed the art history critical theory program as well as the UCLA museum studies program. His research, teaching, and writing link together cultural studies, intellectual history, critical theory, the arts, and museologies of various ancient and modern societies. His other recent publications include: The Art of Art History: A Critical Anthology, Oxford History of Art (Oxford University Press, 2009); Rethinking Art History: Meditations on a Coy, (Yale University Press, 1991); In the Aftermath of Art: Ethics, Aesthetics, Politics (with Johanne Lamoureux), in Critical Voices in Art, Theory and Culture, (Routledge, 2005). Professor Preziosi will be speaking at the book’s official launch during the 102nd College Art Association annual conference in Chicago on Friday, February 14 at 2:00pm.